The advantages of natural childbirth are many, with great perks for both mother and baby. Natural childbirth refers to a labor and birth process free from unnecessary medical interventions and free from medications for pain relief. During natural childbirth, a mother still needs labor and birth support even if she's choosing to go natural. A supportive environment: low lights, music, aromatherapy, candles, and no interruptions. For example, the only people present at the birth are the people who the mother has specifically chosen to be there. A supportive team: A mother's natural childbirth team may include her partner, a doula, friends, and family. Of course, most mothers have a care provider present to deliver the baby as well. The primary provider could be a midwife or obstetrician. As long as their values surrounding natural childbirth line up with the mother's, it doesn't matter what title they hold. Natural labor support tools: A birthing ball, water birth, essential oils, massage, music, a soothing voice, tennis ball, rice socks, and more can all be used as natural childbirth supports. All of the above components are advantages in that they help to lessen some of the more stressful or sometimes scary parts of birth by creating a positive, supportive, personalized, and memorable birth experience. The emotional advantages of having a natural childbirth can be huge. Natural childbirth is almost always an empowering experience for women. Many mothers who go through natural childbirth note how powerful they feel, how strong, and how they feel prepared to take on anything, including baby care. Some mothers who aren't able to have a natural childbirth feel guilty about it or weak. That's not true: any mother who gives birth is strong, no matter the situation, but it doesn't mean that feeling won't come up. There is also research that shows that a newborn and mother on pain medication during birth may have trouble bonding right away, which can be stressful. Freedom of movement: Mothers who receive labor induction also receive constant fetal/mother monitoring and IVs, and lose much of their freedom of movement. 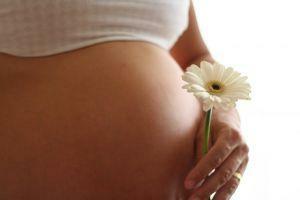 Movement is one very important aspect of pain relief in a natural birth and can speed up labor. The mother confined to her bed loses these benefits. Normal labor pain: Although it seems contradictory, one of the major advantages of natural childbirth is less pain. For example, there is normal labor pain and then there is induced labor pain. If you talk to mothers who have had both a natural labor and an induced labor, you'd hear most of them say that induced labor pain is far worse than natural labor pain. Cesarean avoidance: Mothers who avoid medically inducing labor are more likely to give birth vaginally. This means no major surgery, no cesarean scar, no pain surrounding the cesarean, and a shorter after-birth recovery period. It's been shown that 50-75 percent of women who receive an induction will end up with a cesarean birth. Keep in mind that babies exposed to labor induction also have to deal with harder contractions, possible complications, and the risk of a cesarean birth. Health wise, it's usually better for babies to be born vaginally because it better stimulates their breathing process. Additionally there are natural induction of labor techniques a woman can try before deciding on an induction. There are plenty of pain medications that a mother can take during labor and childbirth from epidurals to narcotics, and more. Most have the advantage of pain relief but come with a slew of possible side effects and no labor drugs have been proven 100 percent safe for babies. Often, basic pain medications end up not working so the drugs are now in a mother and baby's system without cause. Freedom from labor drugs means the mother and baby are able to be more present during the labor and birth. Medication can make a woman so drowsy or out of it that she may miss big parts of her baby's arrival. A newborn can be groggy as well due to medications. Without labor medication, there's less risk of c-sections (cesarean sections). Like induction and other labor interventions, pain medication also puts a mother more at risk for a caesarean. Pain medications have some icky side effects like nausea, vomiting, drowsiness, confusion, dizziness, and more. Plus keep in mind that all medications used during labor and childbirth cross the placenta and affect your baby's health as well. In the case of an epidural, the side effects are even scarier. Epidurals can result in major blood pressure drops, fever, detachment from reality, full body itching, lumbar puncture resulting in a spinal headache that can last weeks, and more. Lastly, another one of the big advantages of natural childbirth is that non-groggy mothers and babies have an easier time getting started with proper breastfeeding. All three books are excellent, and are broken down into nice sized chapters for easy reading. Perfect for busy expecting women.